A catchy or evocative name is an important part of the description and marketing of a fruit variety. Good names conjure up a memorable image. For example, the apple names ‘Honeycrisp’ and ‘SweeTango’ hint at eating experiences that have several dimensions — sweet, crisp, and exotic. 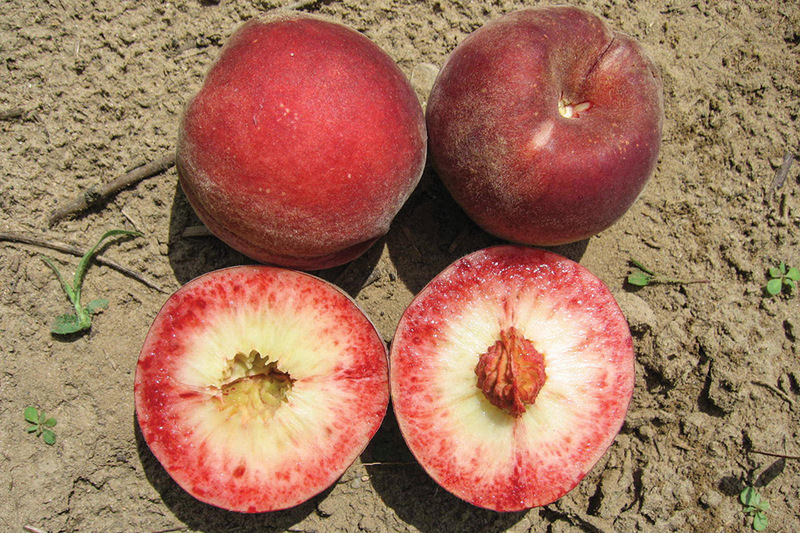 As a peach breeder with Michigan State University, I am confronted with the need to come up with new names for varieties developed by my program. So, I am very alert to the challenges and potential pitfalls associated with variety names. Coming up with a good name can be tricky and sometimes has some unanticipated side effects. One favorite example is the ‘Magness’ pear, a dessert pear introduced by USDA in the 1960s. This pear was named in honor of Dr. John R. Magness, longtime director of USDA’s apple and pear breeding program. It turns out that the ‘Magness’ pear is male-sterile. I use this as a cautionary tale to remind me not to name any peach varieties after myself. Because plant varieties are generally named by the breeder, I felt compelled to ask Rutgers plant breeder Joe Goffreda: “Who are all these strange women and is your wife asking the same question?” Joe maintains that the names were all the doing of Adams County Nursery. Some of the old-timers may remember the column in the Adams County Nursery newsletter from the 1990s titled “Some Thoughts from Michigan,” by Joe Herman, a former ACN sales representative and now owner of the Karma Vista Winery. Joe waggishly presented a neat solution to the problem of naming varieties and keeping track of which ones were the newest. These are probably not the best terms for consumer advertising. Another term used by breeders for fuzzy peaches is “pubescence.” I have a name in reserve should I release a peach that is a bit fuzzy. Following the naming tradition for the ‘Haven’ peach varieties released by Michigan State University, I will call it the ‘Unshaven’ peach. 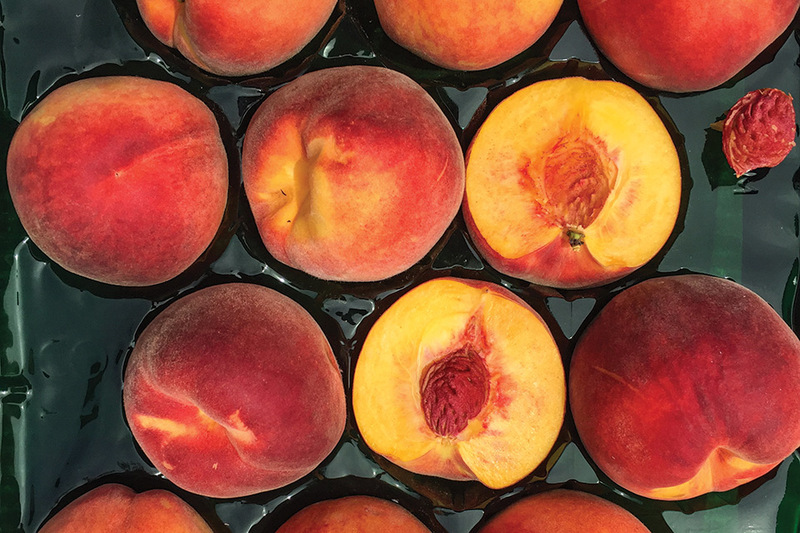 California peach growers had for many years a federal marketing order called the California Tree Fruit Agreement (CTFA) which managed funds for research and promotion of peach sales and consumption. 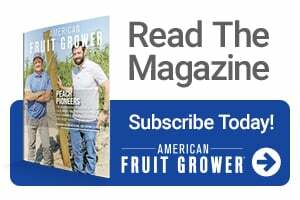 CTFA promoted both white and yellow flesh peaches and nectarines in the U.S. but ran into a problem with marketing in Asian markets. It turns out that “white flesh” is a slang term for a prostitute in these countries. Oops! So, the trademark name ‘Summerwhite’ was coined as a more appealing marketing term for these varieties. MAIA member-growers select promising apple seedlings from many thousands generated from crosses. Michigan State University, with the support of funds from the Michigan Apple Committee, has established many hundreds of the elite selections from the program at research sites in Michigan to help evaluate and choose the winners. This has been a challenging and sometimes entertaining process. One somewhat promising selection has the rather strange test name “RBBRGLV.” It turns out that the MAIA grower member who first spotted this selection in the seedling block forgot to bring along flagging tape, so the only thing he had to mark the tree was a rubber glove which he tied on a branch. So, we fondly call this the Rubber Glove (RBBRGLV) apple. Another selection from the program was known by MAIA members as “Juicy Fruit” because it tasted like the gum by that name. However, to avoid getting sued by the Wrigley Company, they decided to name it ‘Ludacrisp,’ which is a genius idea. I hope I am equally inspired when it comes to naming my own peach releases. 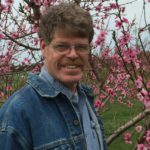 Bill Shane is a senior Michigan State University (MSU) Extension tree fruit specialist at the Southwestern Michigan Research and Extension Center in Benton Harbor. He also directs a peach variety breeding program at the research center. He can be reached at [email protected]. See all author stories here.